An athlete and friend recently asked me a question about rest periods and how they relate to certain training adaptations and results, so I thought that I would write a quick piece while I am sitting on my deck on a sunny Sunday afternoon. Rest periods are one of many variables you can manipulate to help you better reach your training goals. Depending on the direction you are trying to take with your training (going for strength, power, hypertrophy, endurance, fat loss, etc. ), you can utilize different rest periods to further enhance adaptations. Basically it comes down to knowing what you are trying to accomplish with each exercise with each exercise, training day, or particular phase within your program, and using the clock to take advantage of a conducive rest period. If the goal is to enhance power production or max strength to the highest degree, you are going to want to implement longer rest periods between sets. When using near maximal intensity, your systems (nervous, muscular, etc. ) are likely to fatigue quickly and require a longer rest period between sets in order to recover. When your goal is to repeatedly push as much weight as possible, or move a resistance as quickly as possible, you need to allow sufficient recovery between sets to keep the work as quality as possible. If fatigue becomes a factor and the intensity/speed falls significantly drops, the power and strength adaptations will be limited. In order to maximize power and strength results rest periods of at least 3-5 minutes between working sets of the same exercise are suggested. So you are not merely sitting around waiting for the rest period to end, try super setting high intensity lifts (heavy/powerful compound movements such as squats, deadlifts, chins, cleans, jerks, etc.) with lower level correctives (mobility/stability/activations) in order to maximize your training time without compromising strength and power gains. When your goal is to maximize muscle hypertrophy (size), you should utilize a bit shorter rest period when compared to power and strength. The shorter rest period (90-180 seconds between sets) does not allow complete recovery between sets. The incomplete recovery results in favorable hormonal levels and system adaptations for muscular growth. 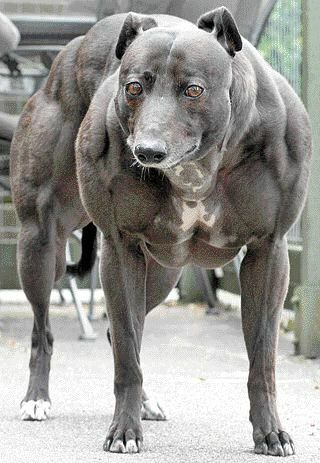 WHAT YOU GET WHEN YOU LOOK FOR “HYPERTROPHY” ON GOOGLE! Try super setting opposing muscle groups (upper and lower, push and pull, etc.) keeping 90-120 seconds between working sets of the same exercise…note the SAME exercise meaning you can count the time spent completing a non-competing exercise as rest time towards the previous. When going for muscular/system endurance, you should utilize short rest periods (15-60 seconds). The short rest periods provide the specific stimulus that is conducive to an endurance adaptation. Performing exercises in a circuit fashion works well for endurance as you can keep rest periods to a minimum as you cycle through non-competing exercises. Try performing 3-6 exercises continuously in a non-competing order (upper, lower, upper, etc.) moving from one to the next with 15-30 seconds of rest in between each exercise. Once the round is completed, rest 45-60 seconds before starting the next round. For maximal fat loss, shorter rest periods are suggested (similar to the endurance), but keep in mind that the stronger you get, the higher intensity you can use, and the higher the demand on the entire system. A higher demand will lead to more caloric expenditure and greater fat loss. With this in mind, even if your goal is strictly fat loss, don’t get caught up only using lighter resistances. Most of us will never have to “peak” for a certain competition or event, but may have a more specific focus/goal with each phase of our training. We take care of reps and sets, but will fail to address specific rest periods. By manipulating your rest periods (in accordance to the goal of the exercise or phase of training) you will further maximize results. And as with the fat loss example above, if you want a little bit of everything, you can implement different rest periods within the same training day. So the next time you find yourself questioning why you aren’t getting stronger as you sprint through your training day, or why you can’t shed any more fat as you text/tweet/play angry birds for 10 minutes between sets (or take a seat because you “need a break”), know that if you want better results all you may need to do is use the clock and tweak your rest periods.